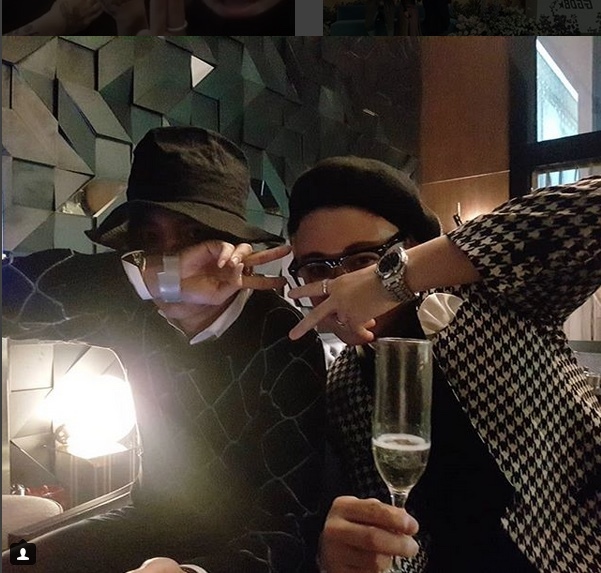 Seems JKS chose to spend New Year's Eve with long time friends from school, rather than openly clubbing as he did last year. It would also seem - maybe - that he gets less enjoyment lately from his celebrity status, considering he hides behind hats and masks so often when in public on his own, and more enjoyment from having a wide circle of close friends where he can relax and be himself, without all the trappings of celebrity status. Even in these private photos, he hides behind the mask and hat as if to hide, at least temporarily, from the ever present public.